'Dundee on the brink'. The Daily Record's headline was over the top to say the least. I'll leave it up to yourselves to decide whether Dundee's decision to ban the newspaper from their matches is as well. It is not however over the top to say that the club's accounts for last season, released on Friday, do not make for pleasant reading - losses of £350,000 for that season which, with turnover remaining stable, were blamed on player wages. This is on top of losses of £530,000 for 2015/16. The Dark Blues have so far have been subsidized by the club's main shareholder to a tune of more than £1million. What was also disappointing was the now seemingly obligatory club statement that goes along with most football club accounts, invariably designed to either spin bad news or to apportion blame. This one included the revelation that the club is expected to make losses "until a new TV deal generates more money" and that the size of the "core home support" needs to rise by about 1,000 - about 29% - just to get the club into a breakeven position. As was pointed out by the wags at The Terrace, relying on a new TV deal to generate significant income is not the most sound business plan. As for increasing the core support, good luck with that. The accounts for the current campaign will not be any better, with the club set to miss the top six again and possessing one of the most bloated squads around, but luckily the club are not really in any danger as long as these American chaps are willing to bankroll the situation. They certainly aren't going to make a killing from owning Dundee FC. The bottom line is that, whilst Scottish football has moved on a long, long way from the crazy spending that twice led to the dark days of administration at Dens Park and to similar events at Motherwell, Livingston and others, the best way to make a small fortune out of a Scottish football club is to start off with a bigger fortune. In terms of financial might, the clubs in the SPFL can now just about be separated into four tiers. At the top are of course Celtic with their Champions League money - though even they needed to sell players to cover losses during the Deila years and probably will so again if they miss out on the Group Stage in future seasons. There is a chasm between them and the next group, which consists of Rangers, Aberdeen, Hearts and Hibs. That's not to say that four clubs are being managed particularly prudently. After all, Rangers are far more reliant on their directors for funding than Dundee are, and Hearts are only a few years past their own administration. But because of the size of their supports and some fairly wealthy backers they can punch at a much higher weight than the likes of Dundee, who are in the next bunch with all the other Premiership clubs and the full-time ones in the Championship. The other seven Premiership sides are not spooning it in. Kilmarnock's accounts last year showed a marked improvement simply because of the seven-figure sale of striker Souleymane Coulibaly. Motherwell's accounts for the previous two years have shown losses and advised that future costcutting was required. Hamilton Accies run on a smaller budget than any other top flight club, yet the loss of up to a million quid to fraudsters gives them a right problem. One fears for them, and for any of the other clubs, if they are relegated. There is not a lot of cash going around the second tier, as Inverness Caledonian Thistle and Dundee United are discovering. United have sold their training ground to a director this week because they need the cash for working capital. Goodness knows where they would be right now but for the sell-on clause they agreed with Hull during Andrew Robertson's transfer, and goodness knows where they will be next season if, as is very possible, they are stuck in the Championship for a third straight year. Caley Thistle's situation is not clear, but this is a club who struggled to make much money either when they won the Scottish Cup or during the year that they sold Ryan Christie to Celtic. Whilst a significant number of high earners left after relegation, and they managed to get around £100,000 for Ross Draper, they still have a number of ageing players on expensive contracts. The bottom line is that even diehard fans like this writer haven't a clue what is going on with the board and new investment. Meanwhile, there has been a long Challenge Cup run which has actually so far caused the club to lose money, and a succession of home games lost either to that cup run or to the weather. Quietly, £450,000 worth of loans from earlier in the season have been converted into equity, yet there are still worries about cash flow. They aren't the only ones struggling because of the conditions. Dunfermline have admitted they are feeling the pinch of five weeks without a home match. Back in December Livingston admitted to they would have had difficulty paying wages had they not finally got a game ahead at Almondvale. 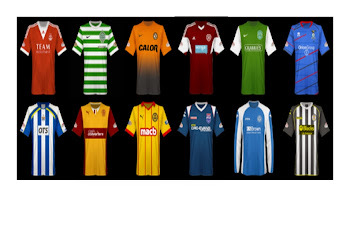 As for my final tier, which comprises the remaining SPFL clubs, existence is not straightforward either; for example, Stranraer culled their squad of some of their best players during the January window so they could get by. Sadly, it seems this is the way of things just now, and if Dundee's comments are anything to go by the situation will not change in the near future. Unless there is significant financial support, all but those big five clubs are a single short difficult period away from being 'on the brink'. Only Ross County, who not only have a sugar daddy but one who actually looks after the club with a degree of common sense as well as love, are largely immune. As for supporters of the rest, maybe it just has to be acknowledged that in this current age of lousy TV deals, high ticket prices and mediocre gates, they are lucky they have clubs to support at all.